Get more for you money at the Quality Inn I-40 and I-17 hotel in Flagstaff, AZ. 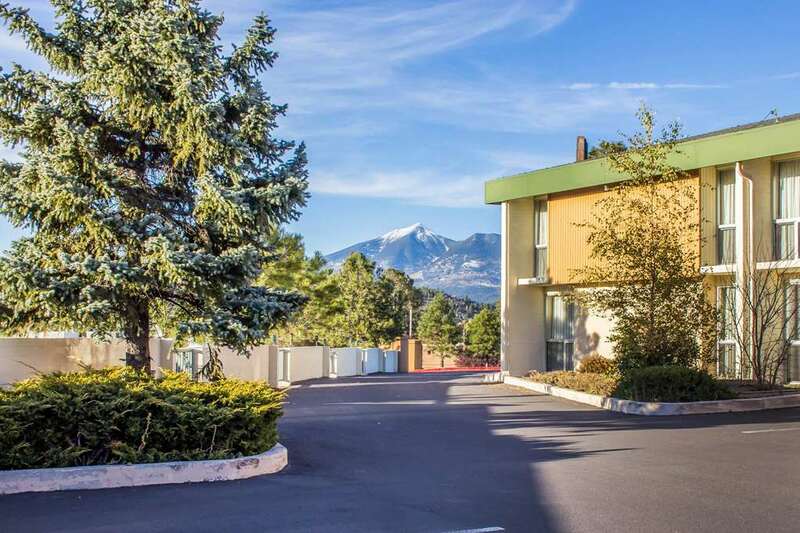 Located at the intersection of two major freeways, near the campus of Northern Arizona University, our smoke-hotel offers convenient access to destinations in Flagstaff and beyond. Here, you will find such essential amenities as free WiFi, and free daily hot breakfast, as well as a business center with copy and fax services. All guest rooms feature coffee makers, irons, ironing boards, hair dryers and TVs. Rooms with forest views also are available. Also, earn rewards including free nights and gift cards with our Choice Privileges Rewards program.